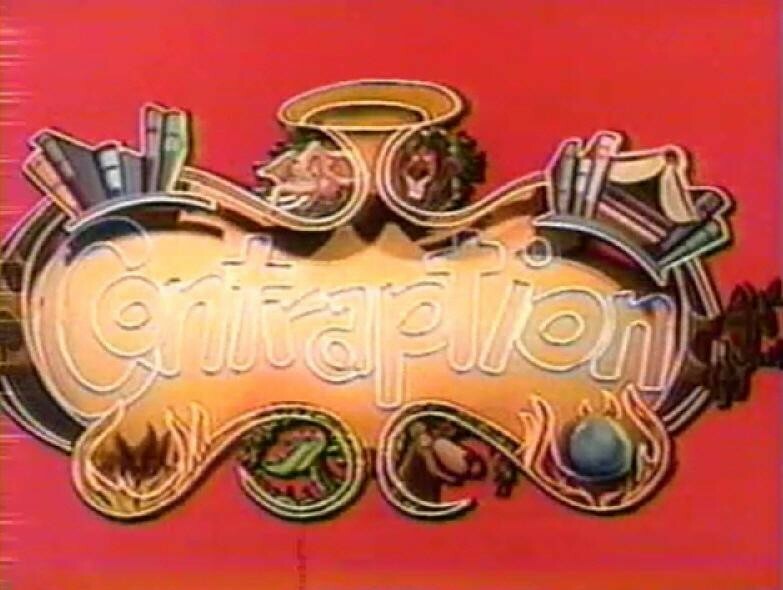 Contraption (television) Series on The Disney Channel, hosted by Ralph Harris, with kids age seven through twelve competing to answer questions about Disney films, using a life-size, three-dimensional game board. Debuted on April 18, 1983, and aired, with repeats, until January 9, 1988. 40 episodes.